See The Difference Quality Makes! 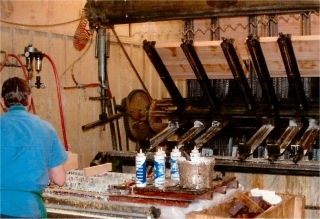 Our trade mark at the Rainsville Church Pew Company has always been detailed precision and outstanding quality. You can see this quality everyday in our factory and in our employees. 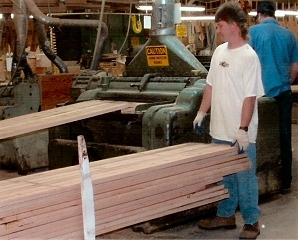 We begin with superior native hardwoods and materials; then apply handmade craftsmanship skills with precision workmanship. This quality manufacturing is consistent with the tradition of excellence established years ago by our founder the late Ted Johnson. He believed worship furniture should be as beautiful as its intended purpose. He felt that it should be created with reverence. We agree. Ted Johnson took pride in crafting fine furniture, pieces worthy of belonging in a house of worship. His hand-crafted pews were individually fashioned from rich hardwoods into beautiful, functional, durable designs. We still create this beautiful furniture. Today, our company continues in the same tradition begun so many years ago. We remain family owned and locally operate our factory in Rainsville, Alabama. You are welcome to visit. We still take the same pride in the quality of the products we produce and in the God-given talents we have been blessed with to create them. We offer these carefully crafted pieces to grace your place of worship now and to last for generations to come. 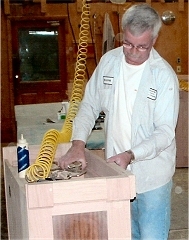 We can also produce any custom design or make matching additions to your existing furnishings. We invite you to see your furniture in creation at our factory.